- Respect the blonding process. it takes time. wether you are going from dark brown to platinum, highlights to balayage, balayage to highlights, its a process. nothing is going to be perfect in one coloring session. (unless you book me for an entire day and I'm doing protein treatments after each process and you have lots of $$$$ to spend). set your expectations low, and trust your stylist is going to give you the best results, while also protecting the integrity of the hair. - If you are going from dark to blonde, be willing to take it slow, and try different shades. there are so many beautiful shades of blonde. the important things is to keep your hair healthy so you can achieve the perfect shade. - Don't set a time restriction. because once again it takes TIME. nothing ever turns out correctly when its rushed. 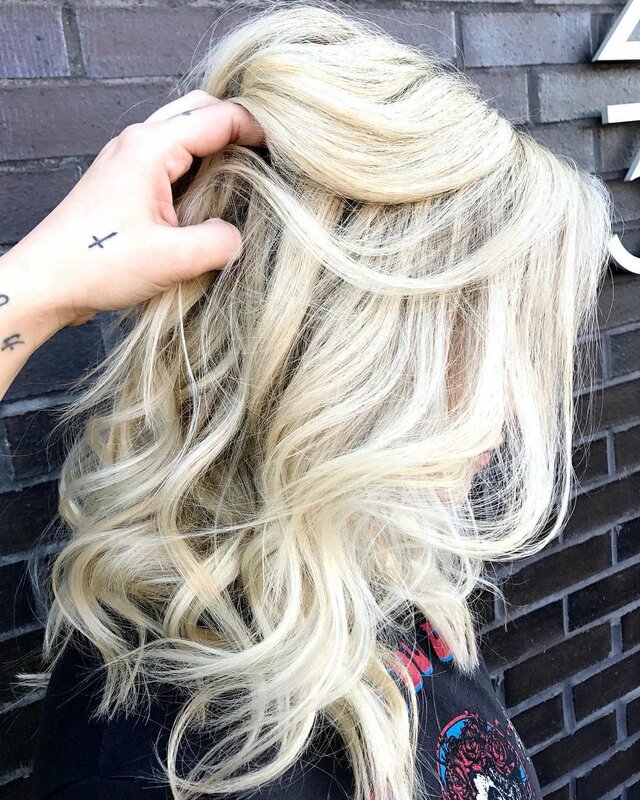 when scheduling your coloring service, make sure you know how long your stylist has booked for you, and don't schedule anything that would cut into that time. we schedule the appropriate time to achieve your desired look. when you put a time restraint on us, you will probably not leave with the look you were wanting. this goes for any coloring service as well. - You can't have healthy blonde hair if you aren't willing to invest in an at home regimen. blonde hair is removing ALL the pigment from your hair's cortex. in doing that, you are stripping the protein and moisture from your strands. which is why it is SO important that you listen to your colorists service suggestions, and at home care recommendations. 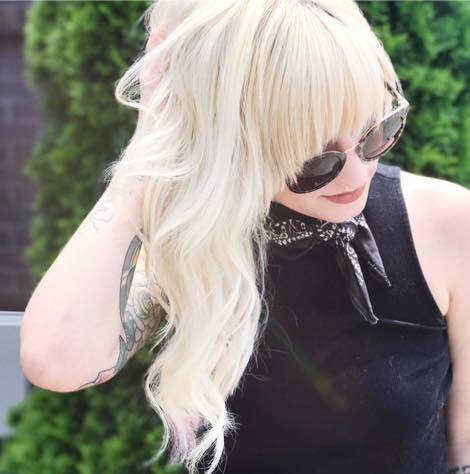 side note: if you aren't using your colorists at home recommendations, we cannot guarantee the same results. we sometimes do not know anything about the product you say you are using, what ingredients it contains, or the quality of the ingredients. we make suggestions because we have spent countless hours finding you the best products for your hair. if you chose to use something else, thats perfectly fine. just know you may not receive the same results. - Perform regular deep conditioning treatments. ask your stylist to preform a wet stretch test to find the appropriate treatment that meets your needs, also ask how often you should being using it. always follow up with regular conditioner after your treatment to shut down the cuticle around the protein. <--don't skip this step! - Always use heat protectant when doing any type of heat styling. I would suggest using a leave in conditioner. It adds moisture and also acts as a UV, and thermal protectant. - Don't shampoo everyday. I absolutely love having clean hair, but with blonde hair its so much better to let your natural oils run through your strands. Instead of shampoo invest in a good dry shampoo. try at least going every other day, if not more. doing this will also make your products last longer. - Avoid tight ponytails, and too many bobby pins. This puts stress on your hair, and can cause breakage.